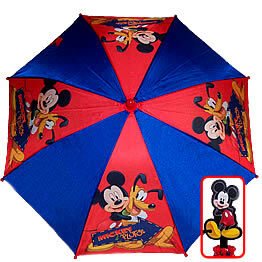 Nylon kids umbrella with plastic Mickey Mouse shaped handle. Round plastic safety tips. Push to open, pull to close. Wrist strap. Velcro close umbrella strap.